For this purpose, we are going to ignore the fact that Tiger woods, Rory McIlroy, and Phil Mickelson are the top players to watch this week at the 2013 Masters. we already know going in that they are the leading favorites on the odds to win. And we are even going venture further down the list past some of the to-five and top-10 favorites. We want to really examine this field, and select a handful of players that we think you need to pay attention to this week. For one, because we think that they have a good chance at winning. For another, we think that the value on the betting lines for each will be worth the risk to take a chance on them breaking through with a victory at the Masters. All of these players have odds greater than 30 to 1 to win the first Major championship of 2013 at Augusta National starting on Thursday. Matt Kuchar captured the 2012 Players championship last year, which is the biggest win of his career. Often referred to as the ‘fifth Major’ the Players Championship is the flagship event on the PGA Tour. 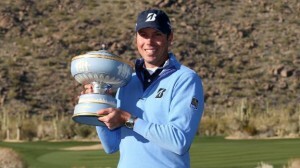 Kuchar has followed that win up with his first World Golf Championships win, coming in February of 2013 with a victory at the 2013 Accenture Match play. The only thing missing now is a Major championship. Kuchar finished T-3 last year at the Masters, and knows how to play at Augusta. At 33 to 1, expect him to be a factor. Another player to watch is Hunter Mahan. Mahan is also without a Major, but has contended well in almost all of them. He is set back at 40 to 1 this week. Mahan has the game to shape the shots required at Augusta, but most importantly he can make the putts needed. As we continue to go down the list of odds, more names start to jump out. Steve Stricker at 50 to 1 seems very high. Stricker has not played much in 2013, but when he has, he has played well. Stricker has never won a Major, but certainly has what it takes to do so. The 50 to 1 payout seems like a steal if bettors want to get in on it. Other names like Rickie Fowler (45 to 1), and Sergio Garcia (40 to 1) are also good values. Garcia has shown he can go low at Augusta, having done so back in 2011. Garcia’s best finish at the Masters though happened back in 2004, when the had a T-4. The betting lines prior to the start of the tournament will be up until the first round tee times. But even then, revised odds will be available during the week. But to get in on some of these lines, it’s important to get in early. This entry was posted in Opinion, PGA Tour Betting Odds and tagged 2013 masters, 2013 masters betting odds, hunter mahan, matt kuchar, phil mickelson, rory mcilroy, steve stricker, tiger woods on April 8, 2013 by Bryan.